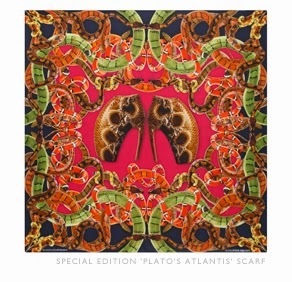 Exquisite scarves in limited quantities. 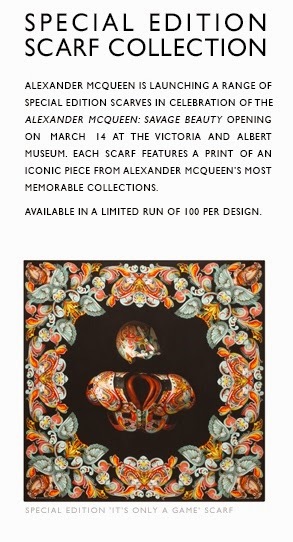 Pictured Above: Special edition Alexander McQueen 'No.13' scarf. 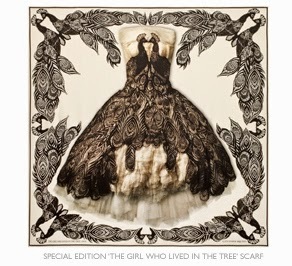 The scarf references Alexander McQueen's Spring Summer 1999 show which opened with athlete Aimee Mullins appearing on the catwalk wearing prosthetic legs made of wood. The end of the show sees Shalom Harlow take to the stage in a white cotton dress which is spray-painted by two robots. 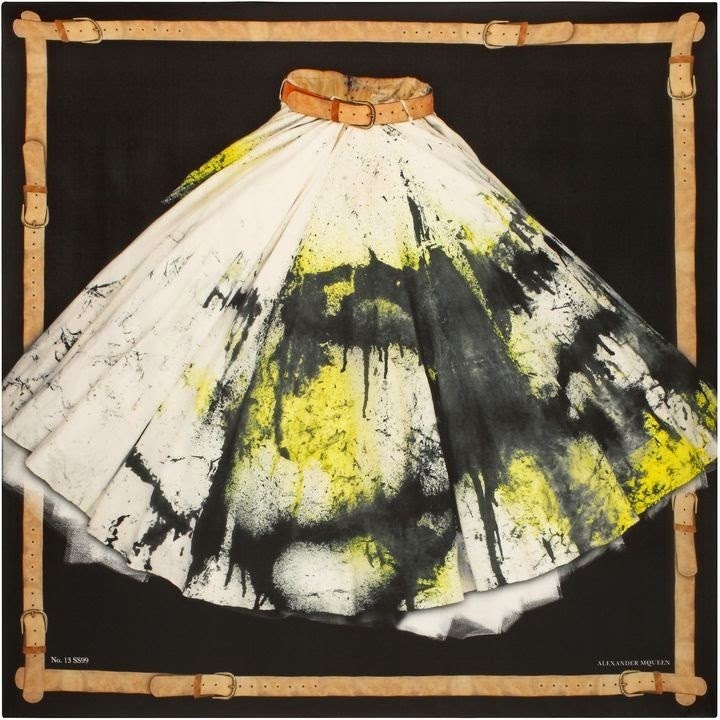 The spray-painted dress features on the scarf. 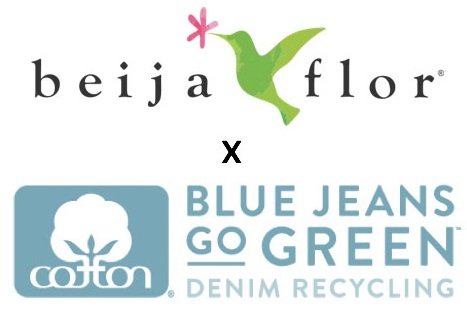 Limited run of 100 units worldwide. 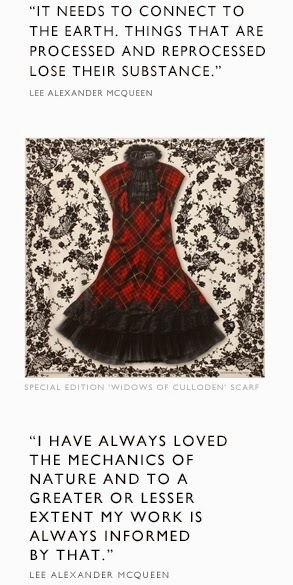 Learn more at the Alexander McQueen website.